“I would rather have a root canal than…” Fill in the blanks with any unpleasant notion, and you have the general American view of root canals. Did you know that the pain caused by a tooth infection is much more intense than the actual root canal procedure? A popular misconception about this procedure is how painful it can be. A proper root canal can save your tooth. Don’t let myths deter from you getting the medical attention you need to get better! In fact, thanks to advanced South Florida dental technology and sedatives in 2016, getting a root canal in Boca Raton can feel a lot like receiving a tooth filling. Our teeth have a soft, living center known as dental pulp. We also have nerves in our teeth; their primary (and only) purpose is to provide us with sensory information, such as cold and heat. 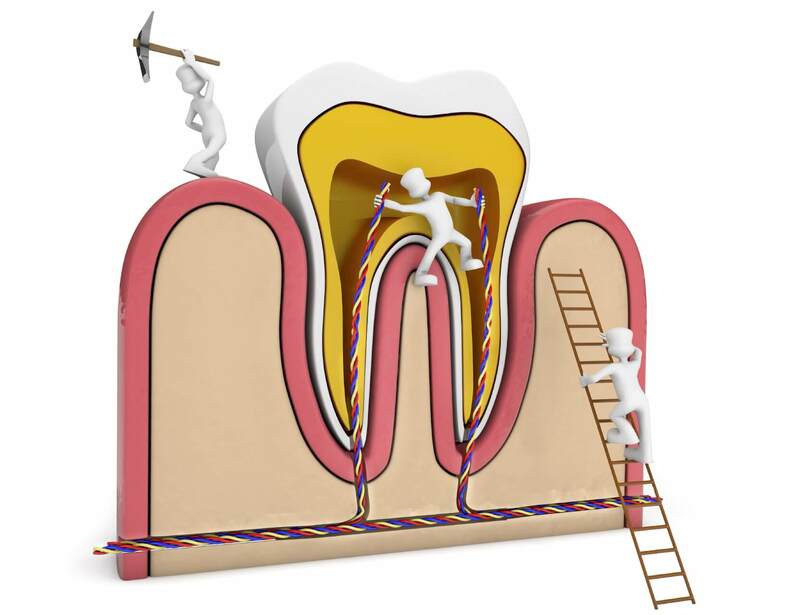 The nerves live inside ‘root canals’- hollow passageways that run along the roots of teeth. Sometimes, the pulp and nerves get damaged. Bacteria grows within the tooth and an infection takes hold. This can happen when a patient receives facial trauma, a cracked/chip tooth, or has repeated dental procedures. You may have symptoms such as tooth discoloration, swollen gums, sensitivity to cold, pain while chewing, or no symptoms at all. The only way to remove damaged tissue and bacteria is to enter the tooth and remove it in what is known as the root canal procedure. Having a root canal in Boca Raton may be one of the most comfortable places to do so. First, the dentist will take an x-ray to pinpoint the exact location of the damaged nerves. Next, anesthetic is given around the tooth, so you won’t feel pain during the procedure. Your dentist creates an opening in the top of your tooth in order to remove the infected pulp and clean the root canals until they are free of infection. Finally, the area is sealed, and the tooth is filled. In the first few days after your root canal, you might experience soreness or pain. This temporary discomfort can easily be treated with over-the-counter painkillers like Ibuprofen or Tylenol. For optimum comfort, incorporate soft foods into your regular diet; oatmeal, eggs, yogurt, soup, mashed potatoes, pudding, and ice cream are all safe to eat. Rough chewing can damage the healing tooth and surrounding tissue, so avoid anything hard or crunchy; this includes apples, carrots, nuts, and ice. Please avoid alcoholic beverages- aside from disrupting the healing process, drinking alcohol could cause unnecessary bleeding. Taking good care of yourself afterwards is key to avoiding complications and ensuring success. Dental procedures, especially root canals, should not be put on hold out of fear or pain. Procrastination can exacerbate the problem and cause unnecessary health issues later on. Our experienced dental team is here for you. If you need a root canal in Boca Raton, get in touch with our office by calling 561-272-8555 .